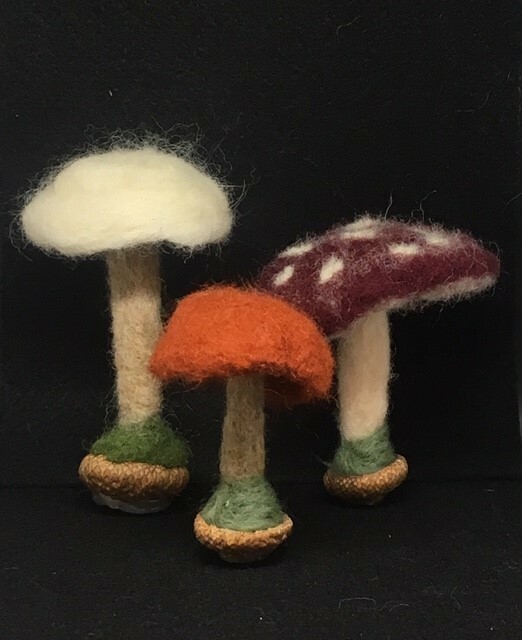 Enjoy these whimsical mushrooms as a trio or just one adorable mushroom. They are made out of felt, and acorn tops as the base. These are made to order so you can specify in personalization what color scheme you'd like for your mushroom/mushrooms. Their heights will vary but will generally range from 2.5" to 4.5" tall. * Keep away from water. * It is perfect for room decor.